The Law Breakers: Bandits in the Hills. Bandits of the Italian hills including (inset) a member of the Camorra uses macaroni to mark a traitor to the criminal organisation. 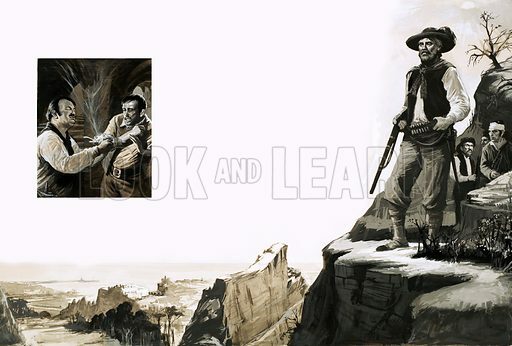 Original artwork from Look and Learn no. 489 (29 May 1971). Available worldwide for immediate download up to 4,866 x 3,288 pixels.